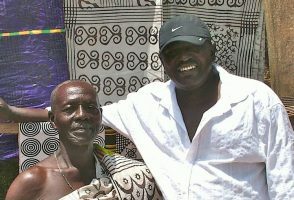 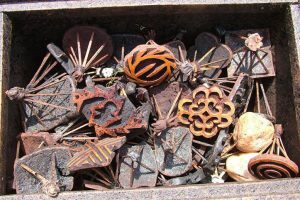 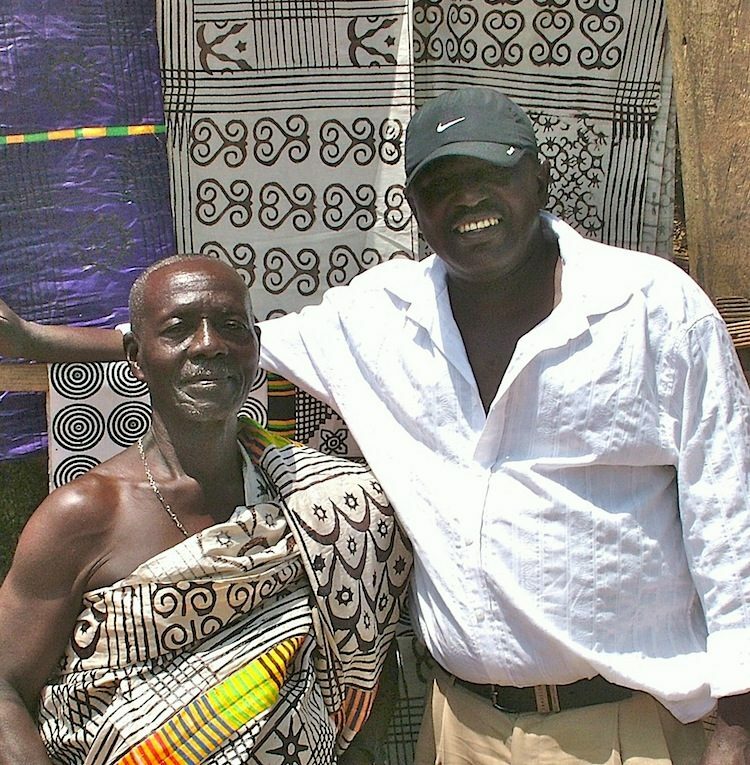 Barou with Gabriel’s dad, in Adinkra. 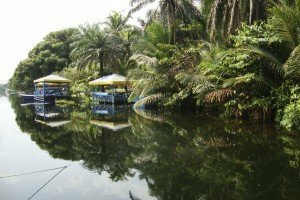 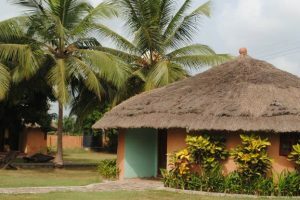 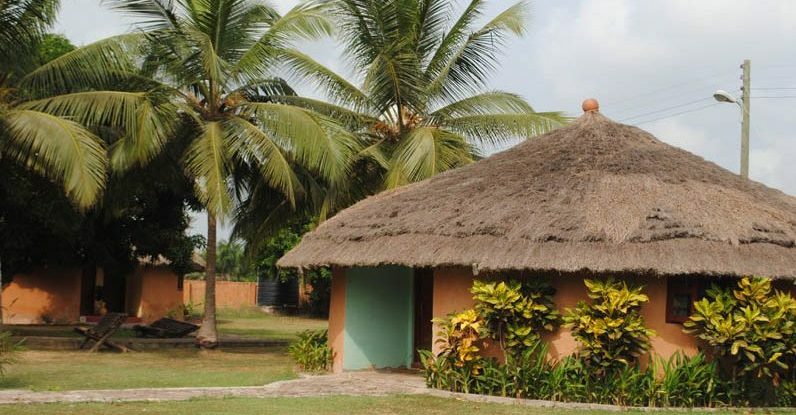 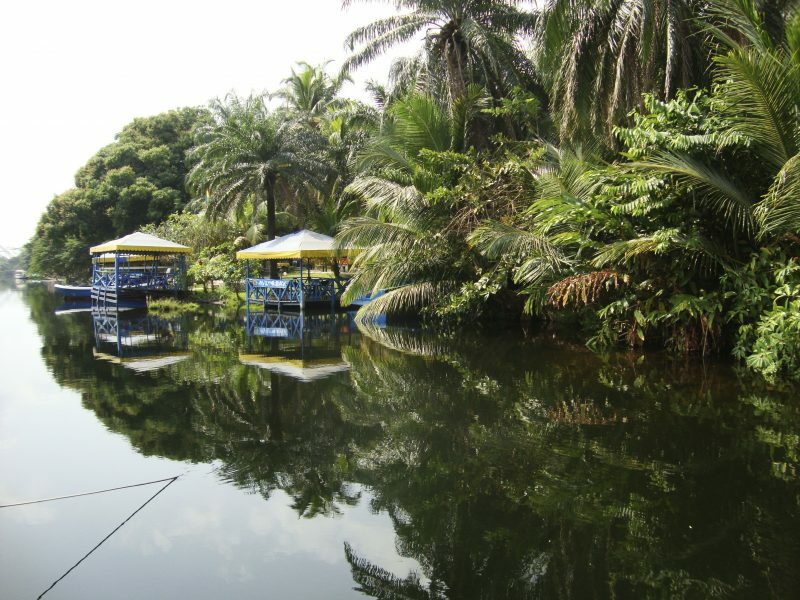 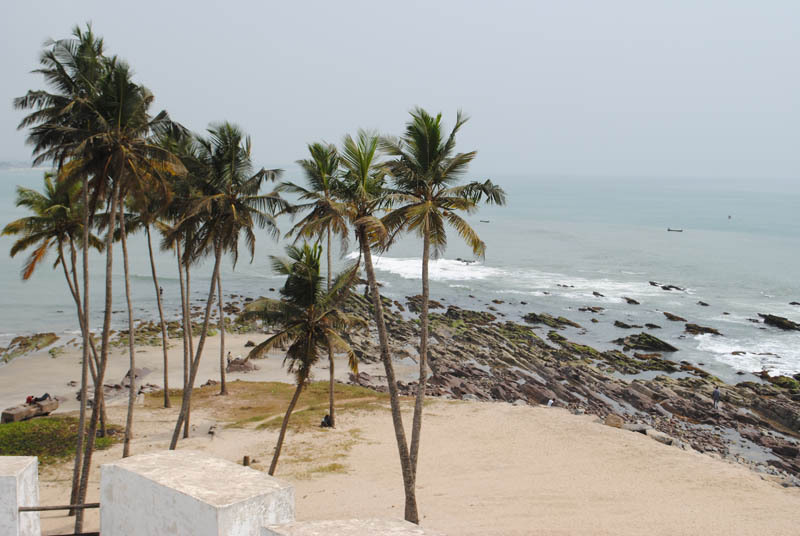 Hotel cottages at Volta Lake, GHANA. 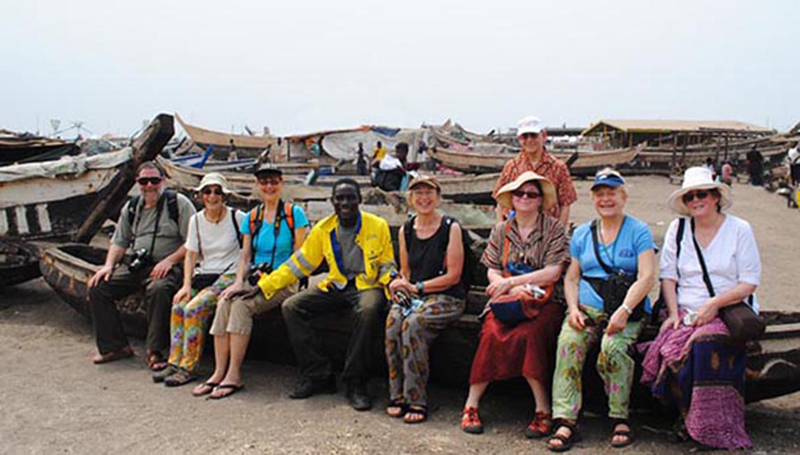 BTSA group at port of Jamestown with Mark. 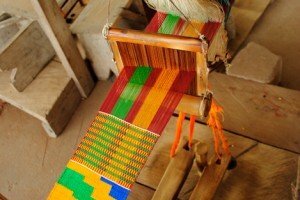 Jeff, master kente weaver with warp threads. 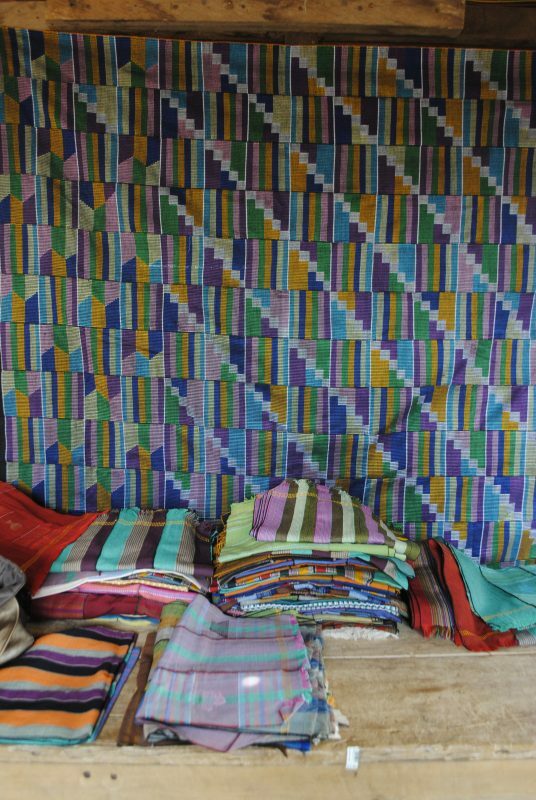 Hand-woven kente on wall, by Bob Dennis Ahiagble. 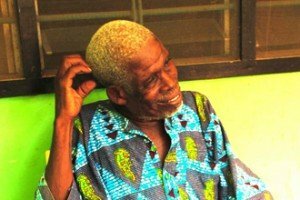 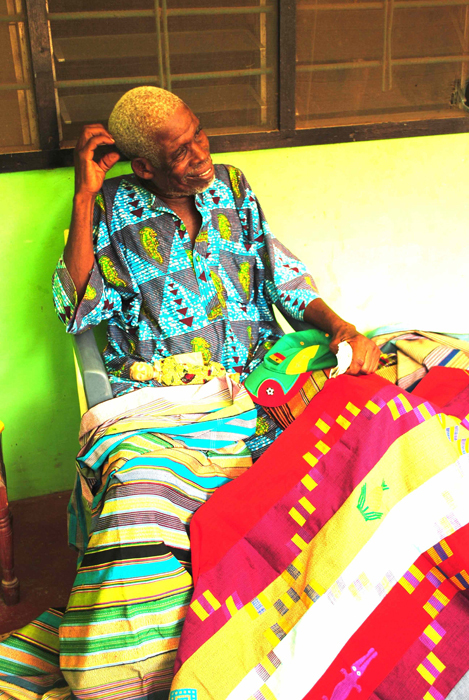 Ewe Kente master weaver, the late Bobbo Ahiagble. 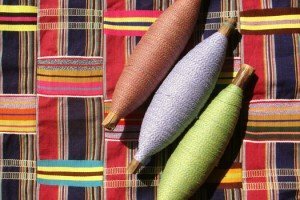 Bobbo’s bobbins showing the multi-colored plied threads he favored. 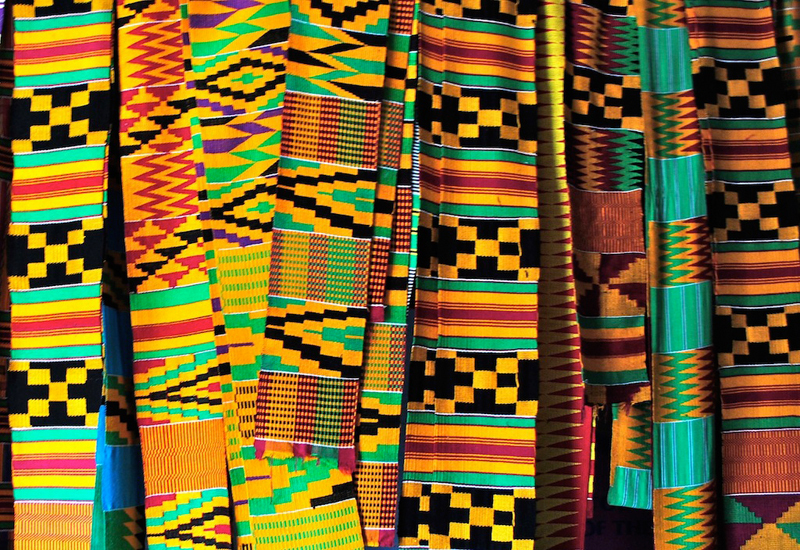 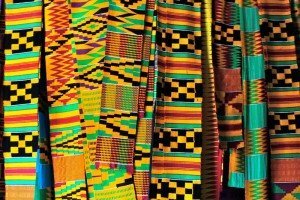 Asante kente strips with typical patterns. 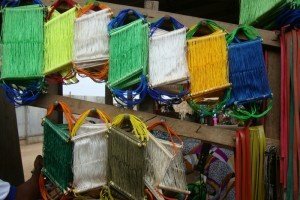 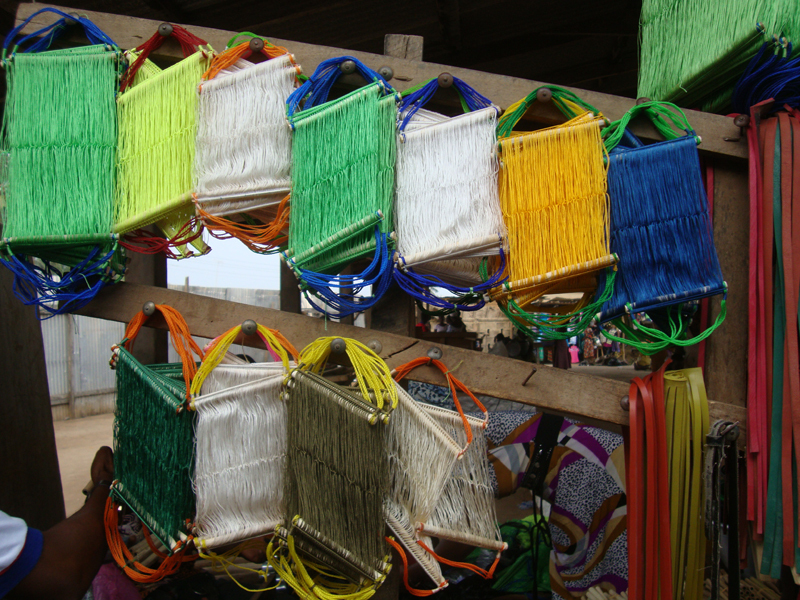 Strip loom heddles made of nylon cord, displayed for sale in market. 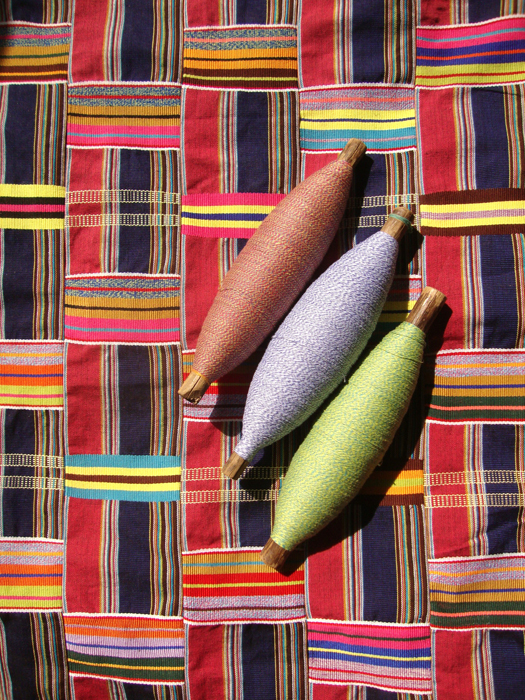 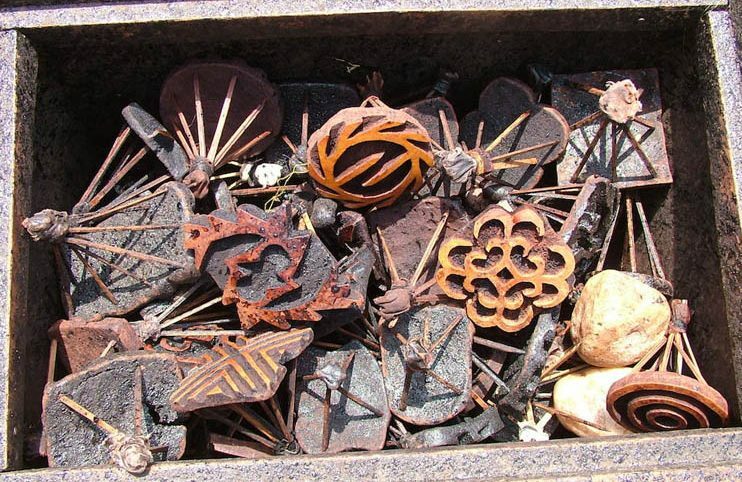 Wooden and bamboo shuttles and bobbins for strip looms, in the market. 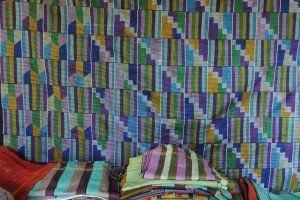 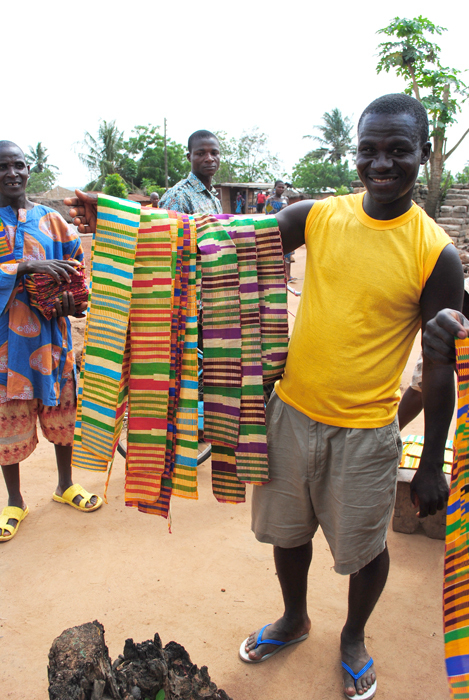 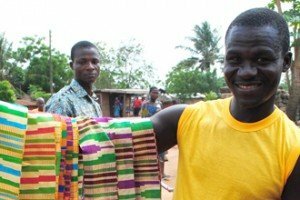 Hand-woven kente strips for sale in a village in eastern Volta region. 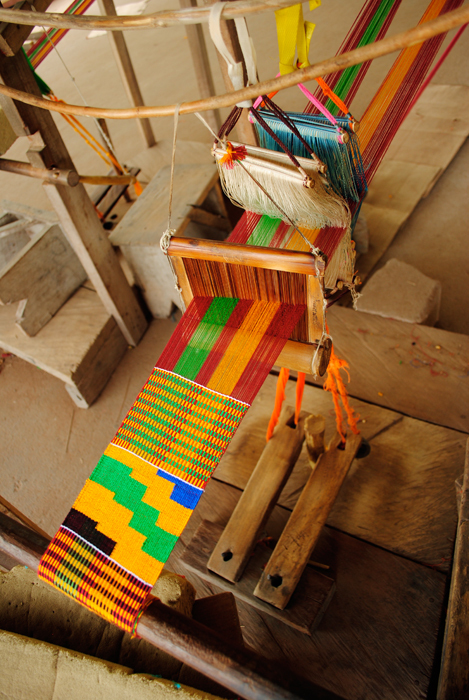 Kente strip loom, showing the foot pedals and heddles. 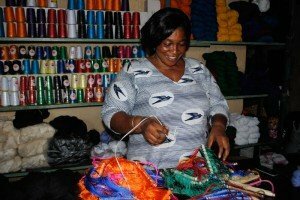 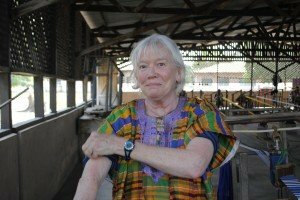 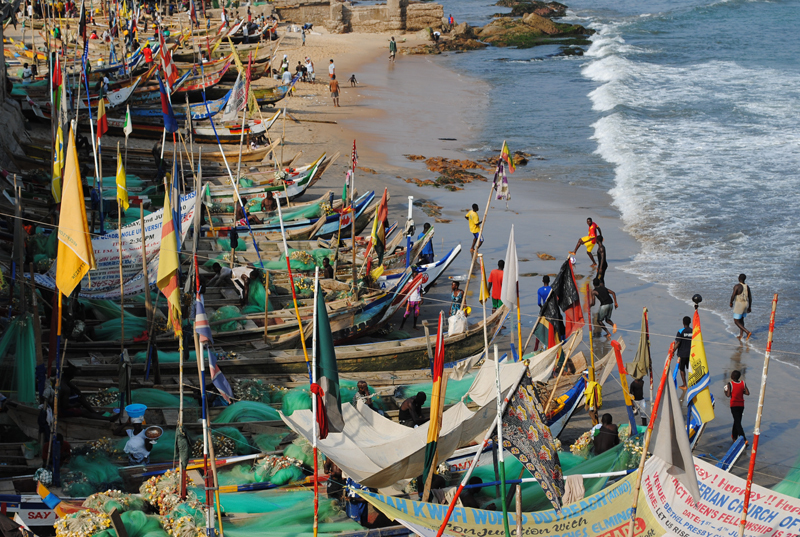 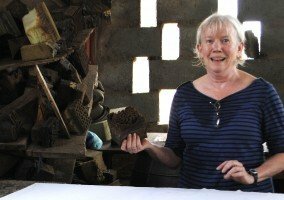 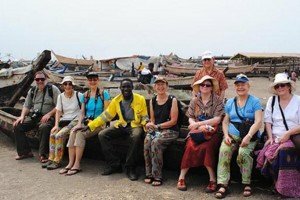 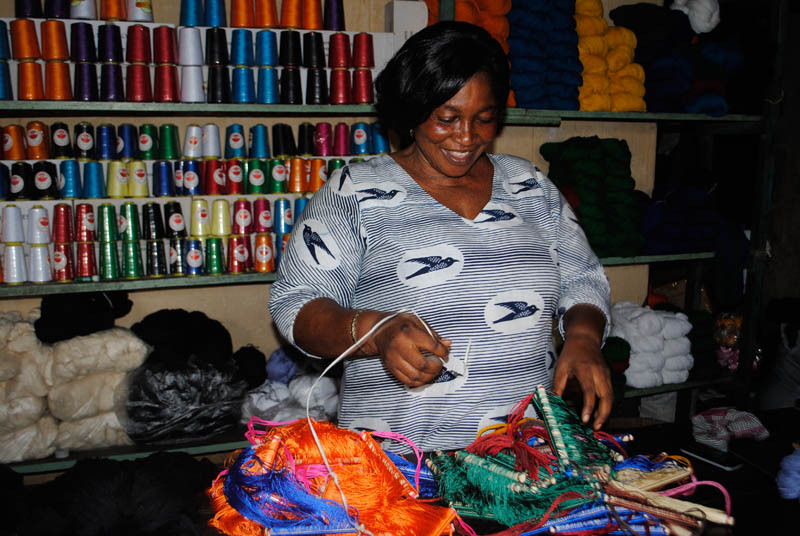 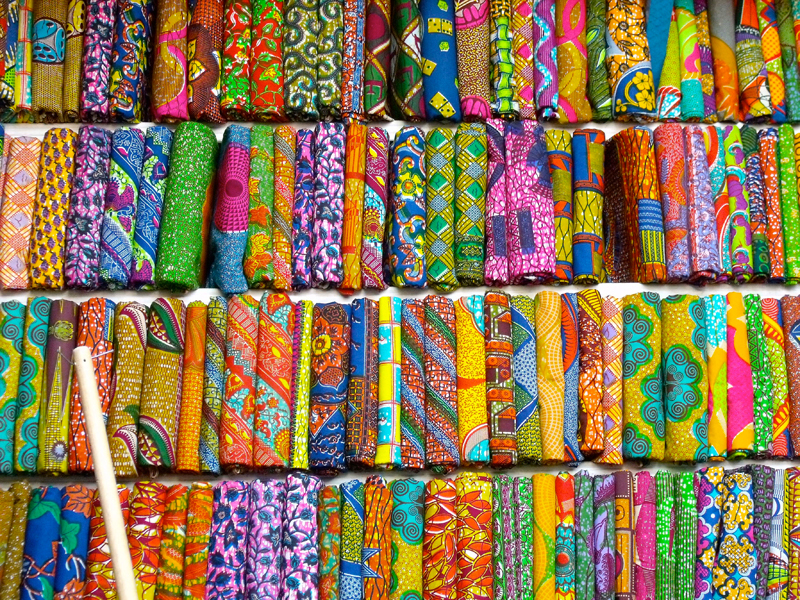 Lynda buys a kente shirt/blouse–called a fugu. 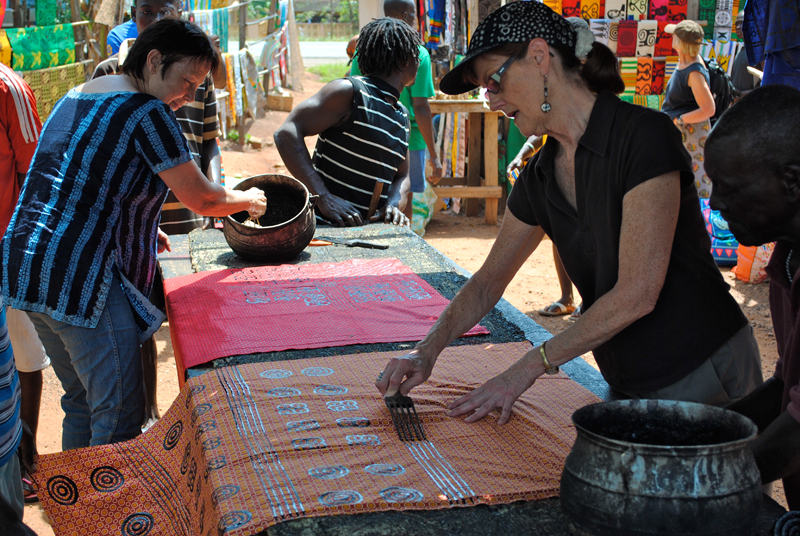 Selling weaving threads and heddles. 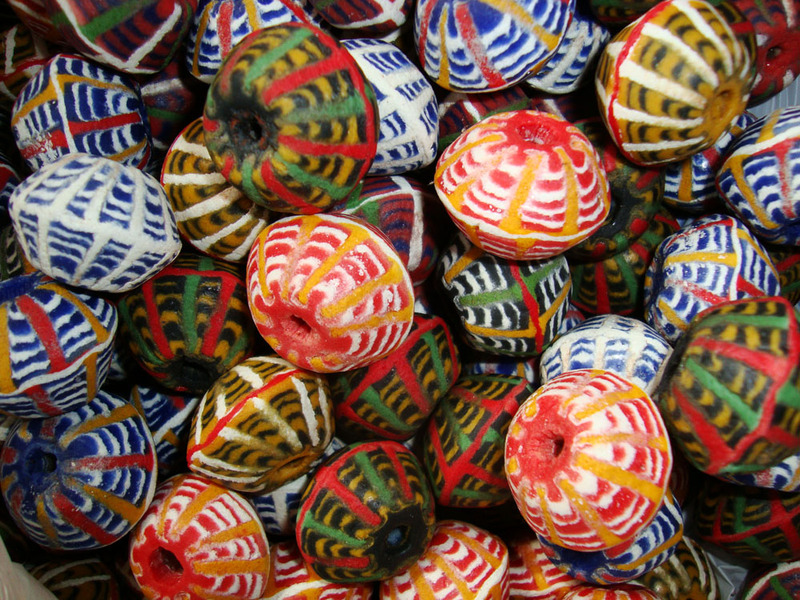 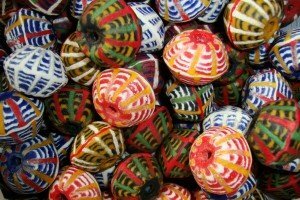 Powdered glass beads made by Cedi. 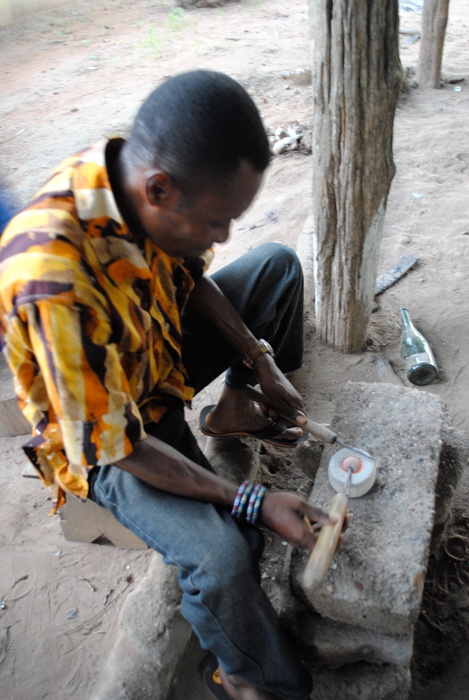 Cedi, master bead artist, making holes in molten glass beads, with a metal awl-like tool. 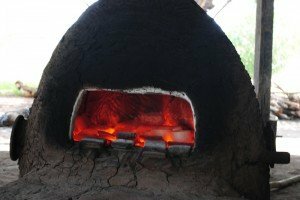 Glass bead kiln with bead molds heating. 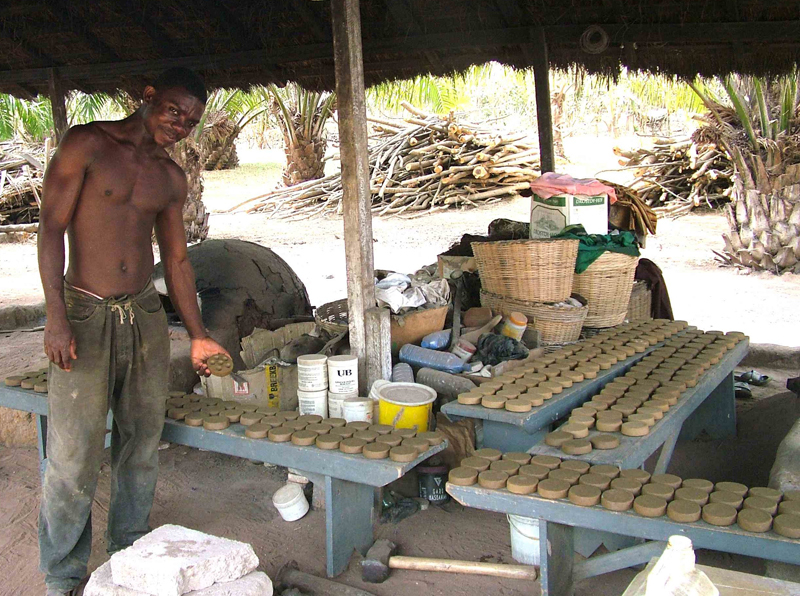 Bead maker and mud molds with kiln in background. 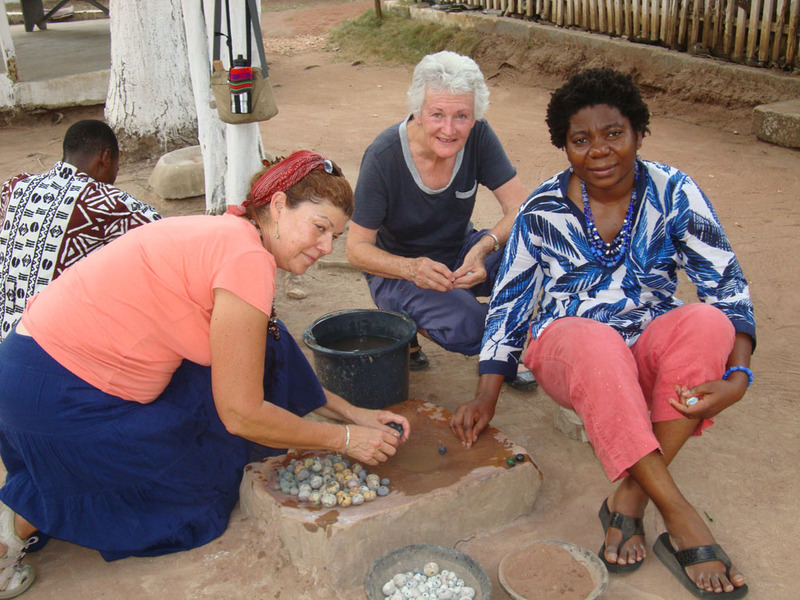 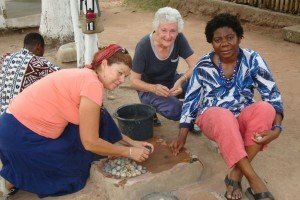 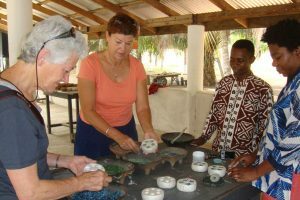 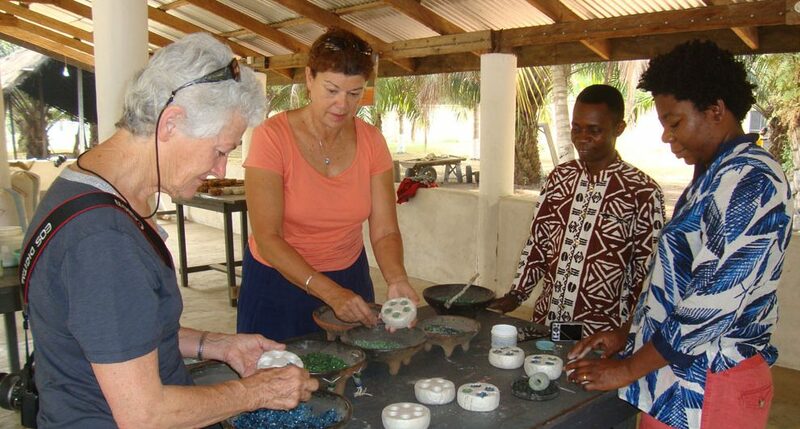 Erica, Denise and Hanouvi polishing their glass beads. 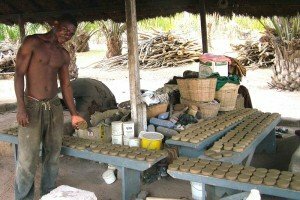 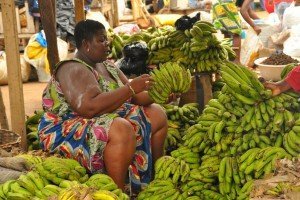 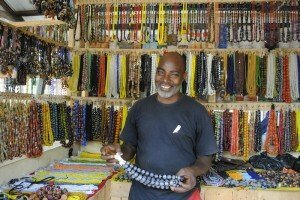 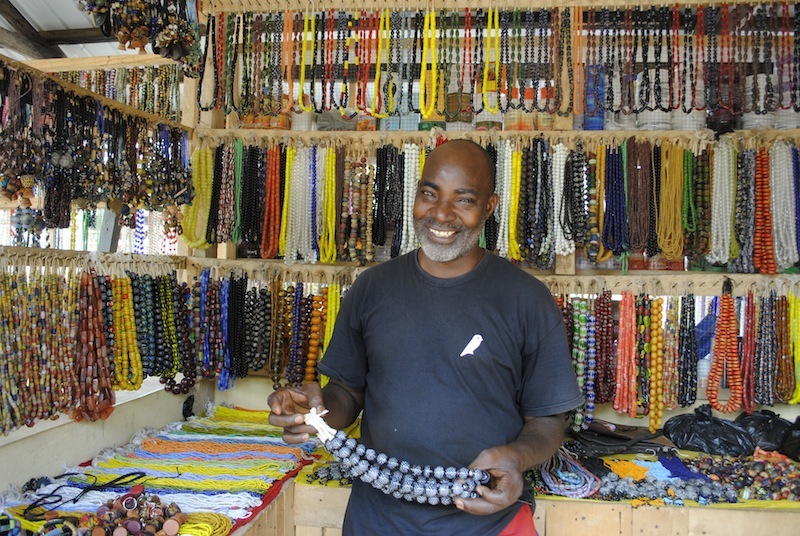 Bead vendor; Krobo Odumase market. 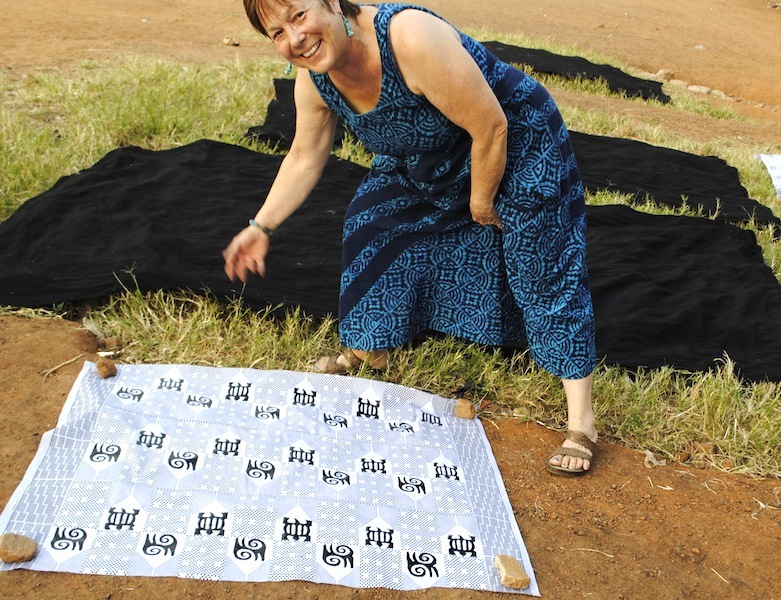 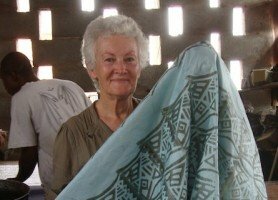 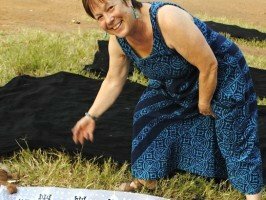 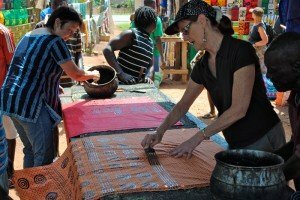 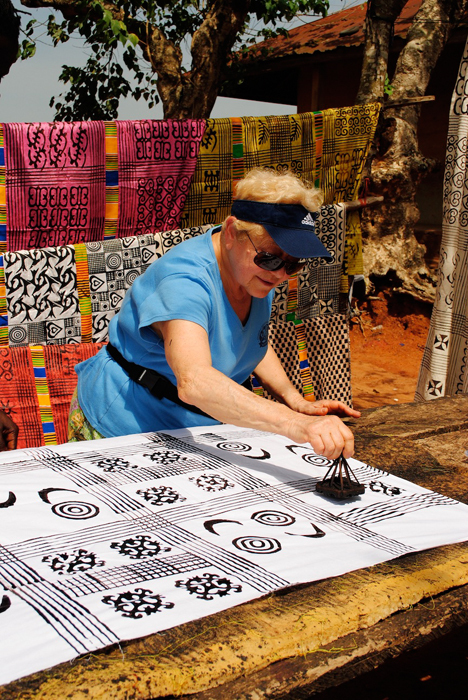 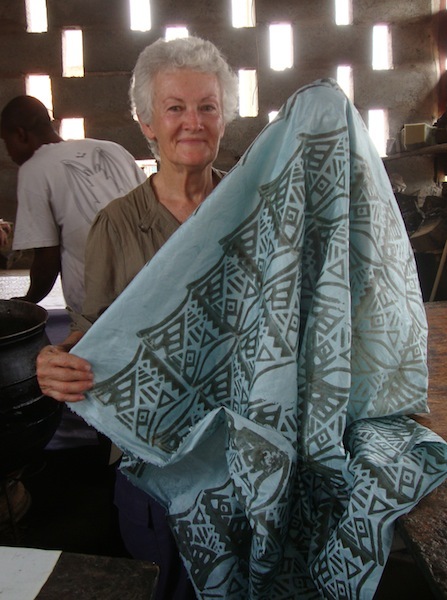 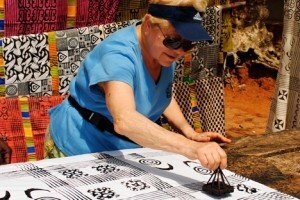 Shirley stamping adinkra patterns onto her fabric. 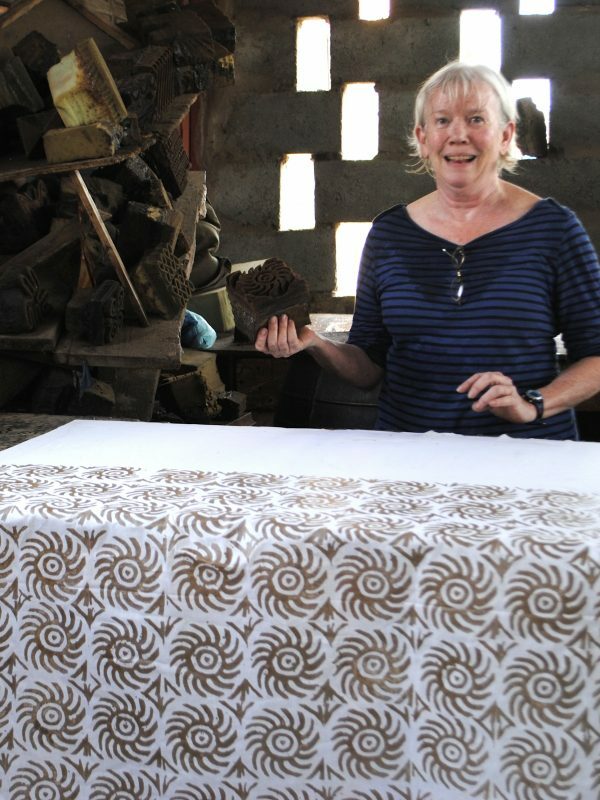 Stamping wax on white cotton in batik workshop. 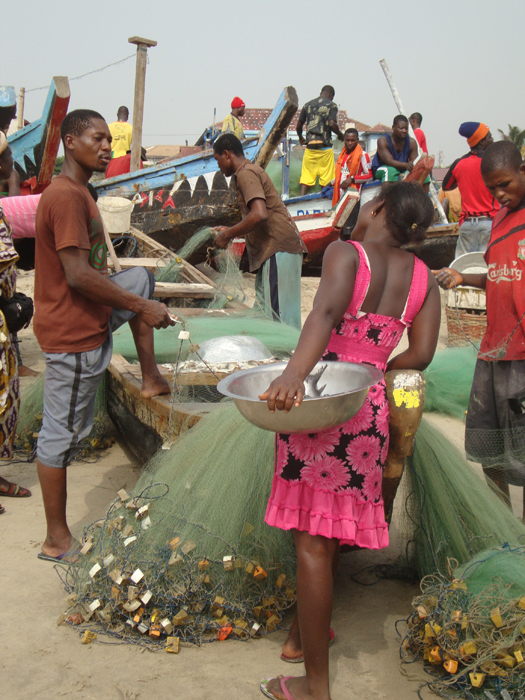 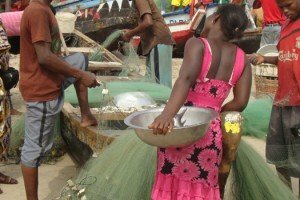 Girl selling fish takes a break. 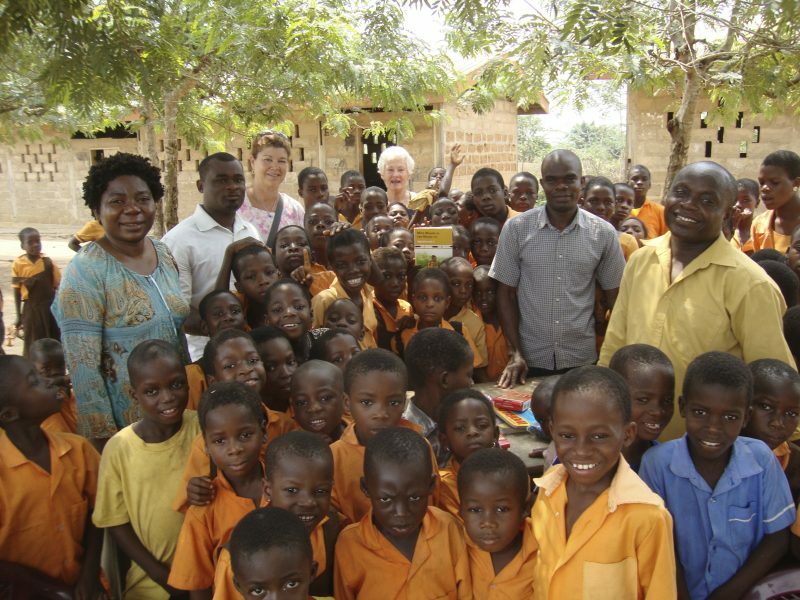 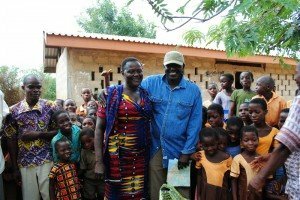 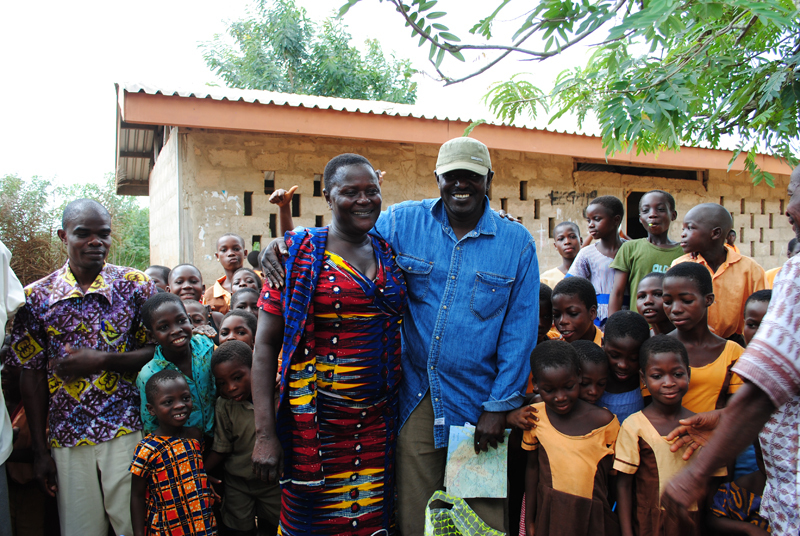 Barou with Augustine, principal at the Primary School where we donate school supplies. 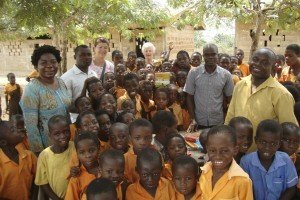 At recess, classes come to greet us. 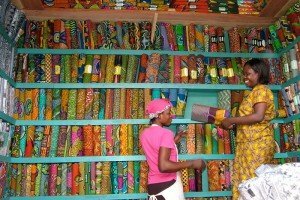 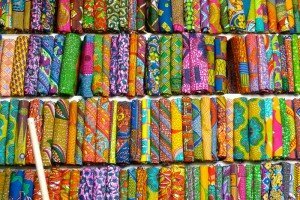 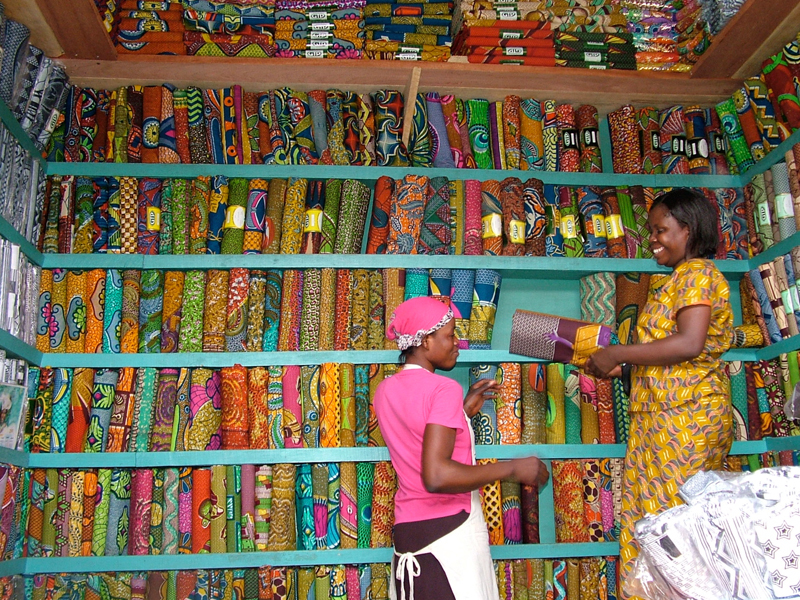 Fabric section of Kumasi market. 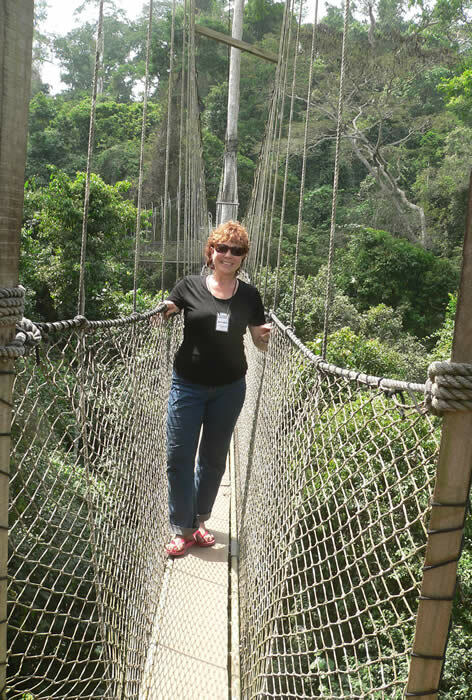 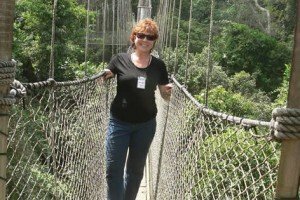 Cynthia on the Kakum Park canopy walkway.